Small town with a big heart; that’s Mundare. 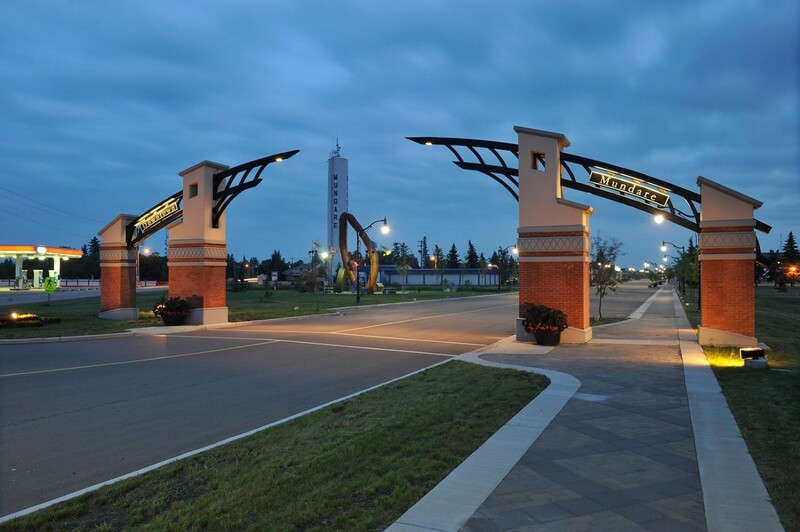 Located east of Edmonton, our charismatic town is home to just over 850 people. At Stawnichy’s we are proud to call Mundare home, and even more proud of our history. A history so closely interwoven with the birth of Alberta that we can’t tell the story of Mundare without a brief journey down Alberta’s yesteryears. Mundare’s story officially begins in 1906; but long before then, in 1873, the government created the North-West Mounted Police to serve, guide, and patrol the West after years of unrest among the First Nations and Indigenous groups of the west. “Mounties” from Manitoba made their way to the West, settling north towards Edmonton, and throughout our soon to be province. Then, the pre-existing bisons disappeared from the area so cattle ranches moved in; this, in conjunction with the stability and safety the Mounties brought helped to foster mass settlement on the prairies. Soon, the Canadian Pacific Railway surveyed the area for potential routes to the Pacific ultimately building a route heading south through Calgary and west through the Kicking Horse Pass. Finally, as part of the Northwest Territories, the District of Alberta was created in 1882. Three years later, in 1885, the Canadian Pacific Railway completed their route while the North West Rebellion erupted with the Metis and First Nations groups against the Canadian government. The Metis and First Nations, led by Louis Riel, felt their rights, their land, and their survival were not being protected. 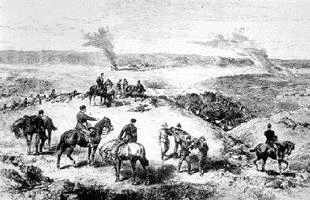 The North West Rebellion lasted only a few months with the Canadian government walking away victorious and when it ended, settlement in Alberta flourished. The Canadian Pacific Railway developed numerous town sites six to ten miles apart while lumber companies encouraged building on the lots by loaning money. When the Canadian government started advertising for European settlers, a large number of Germans, Ukrainians, and Scandinavians accepted the call and moved to Alberta. This is what gives areas of Alberta distinctive ethnic backgrounds; such as Mundare and our great Ukrainian history! Alberta became its own province on September 1, 1905; a year and a half later, Mundare was formed. Calling the prairies home, Mundare is a direct result of the Canadian Northern Railway Line built in 1906. Our early beginnings actually date back to the 1890’s, before the railway line, when English farmers settled on the shore of Beaver Lake, about eight miles from Mundare. After the railway line was built, our ancestors incorporated Mundare as a village on March 6, 1907 naming it after William Mundare, the first station master. Merchants began moving to Mundare from Beaver Lake as our village grew to be the hub of commercial activities. Soon enough Mundare was home to a livery barn, lumber yard, implement shop, store, real estate and insurance, and a Ukrainian language newspaper – as many settlers were Ukrainian! The population of Mundare grew over 400% between 1911 and 1931 becoming a major hub of service to residents in the surrounding countryside. As the population and medical needs grew, the Sister Servants opened the Mundare General Hospital in 1929. In 1962, the hospital underwent a name change to Mary Immaculate Hospital in Mundare; in 1978 a new hospital was built that exists today though it no longer holds any active beds, Mary Immaculate Hospital offers continuing care beds and a doctors’ clinic. Population growth certainly called for an increase in medical needs; but also more demand for social activities. 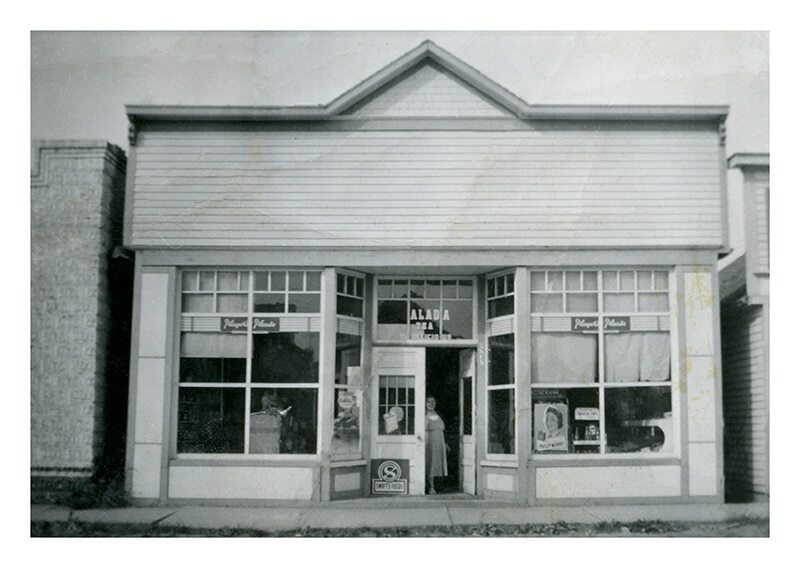 The National Hall was built in 1917 on Main Street and allowed the village to host multiple cultural and social events for the folks of Mundare. A fire destroyed the hall which was replaced in 1925. Our current hall opened in 1964 and has been providing the town of Mundare with a gathering space for various activities. Proudly sharing Mundare’s strong Ukrainian heritage, The Basilian Father’s Museum is home to 16th and 17th century liturgical books from Ukraine. The museum is operated by the Order of St. Basil the Great, also known as the Basilian Fathers, hence its name. So, where does Stawnichy’s fit in all of this? Well, we’ve been running since 1959, when Woytko Stawniczy expanded his grocery and confectionary store to begin making sausages using just one small smoker. Woytko’s son, Edward and his new wife, Jane, joined Woytko in business in 1965 before taking it over in 1971. Eight years later, Edward sold the grocery/confectionary business to expand his line of meat products while opening his new processing facility. Demand continued to increase for Stawnichy’s fine meats and sausages resulting in a bigger plant and an expansion into Edmonton to provide a pick-up location for customers living in the city. Stawnichy’s continued to grow, welcoming Edward’s daughters, Cheryl and Colette, as shareholders in 1988. Accolades came in for both Stawnichy’s and Edward over the next couple of years; and our time in the last 19-years saw Stawnichy’s ride the wave of emotions as we lost Edward but saw continued success with the business and here we are today, celebrating 60 years serving our great community. We couldn’t have done it without the support from our awesome customers such as yourselves! Did you know? 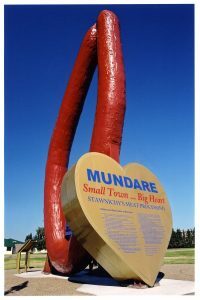 Mundare is also home to the world’s largest sausage. Have you seen it yet? Well, what are you waiting for? We are here to support the community that support us; let us help you with your next fundraiser. Raise funds for your group with Stawnichy’s; we are here to help you succeed – like you were for us! 2019 is a big year for us. It marks our 60th year feeding Albertan families. And so it is a time to celebrate but it is also a time to look forward and see how we can meet the changing needs of Albertans. It is with this in mind that we have revamped our brand and begun to develop a new line of products. Also, keep an eye out for our big 60th prize giveaway and a customer appreciation block party in August!